3 Jobs in Weather Aug 09, 2018 With our weather becoming increasingly volatile, we’ve had a lot more interest in our Climate Science course. We thought we’d explore some of the jo.. 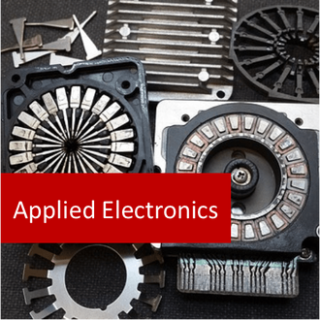 Applied Electronics Online Course: This course teaches the principles of electronics plus how the theory is applied. It will provide the building blocks for working with a number of electrical systems including: audio and visual equipment, devices that are powered by batteries, computers and much more. If you are completing electronics related apprenticeship or are competing with others to get into one, this is the course for you. If you have an interest in the basics of electronics and would like to understand its application better, this course should benefit you. In addition to so much more, you will learn that there are two main types of electronics, linear and non-linear. A linear circuit is one in which the circuit parameters are not changed with respect to the current and voltage. That is to say, the flow of electricity (current), is directly proportional to the applied voltage (i.e. the voltage you feed into the circuit). For example, if we increase the applied voltage, then the current flowing through the circuit will also increase. Some examples of linear electronic components are resistors, capacitors and inductors. A non-linear circuit is one in which the circuit parameters are changed with respect to the current and voltage. In these situations, the flow of electricity is not directly proportional to the applied voltage. Some examples of non-linear electronic components are diodes and transistors. 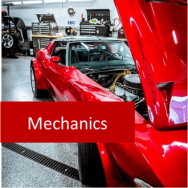 This Certificate in Applied Electronics begins with the nature and scope of electronics and then covers important subjects such as: measuring electricity, electrical circuits, digital electronics, working with electronics, plus a special project. To explain the nature and scope of electricity, electric currents and applications for electric power. To explain how electricity is measured, generated, and stored. To identify and explain the function of important electrical components including resistors, capacitors and inductors. To interpret, understand and be able to draw basic circuit diagrams. To identify and explain the function of other components commonly found in electronic devices, including circuit boards, switches, transistors, semiconductors, integrated circuits, relays, diodes and transformers. To explain how electric devices engage with a user, both through input and output components. To explain digital electronics and how it differs to analogue electronics. 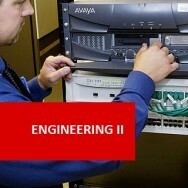 To explain the operation, maintenance and repair of a range of electronic devices. Employers will inevitably test your knowledge at an interview, to see if you can apply what you have learned to their business. Therefore in this lesson, you will utilise what you have learned so far, to complete a special project.